The one that attacked our toes as we read. And curl up beside us whenever we slept. Gone is the happiness welcoming me. Things like paper or pen caps, as if those were a treat. To get me to hold her, a warm little star. Gone is the rumbling of rest in my arms. That she got those who'd hate her to actually care. With a creature who spends her time licking your hair. 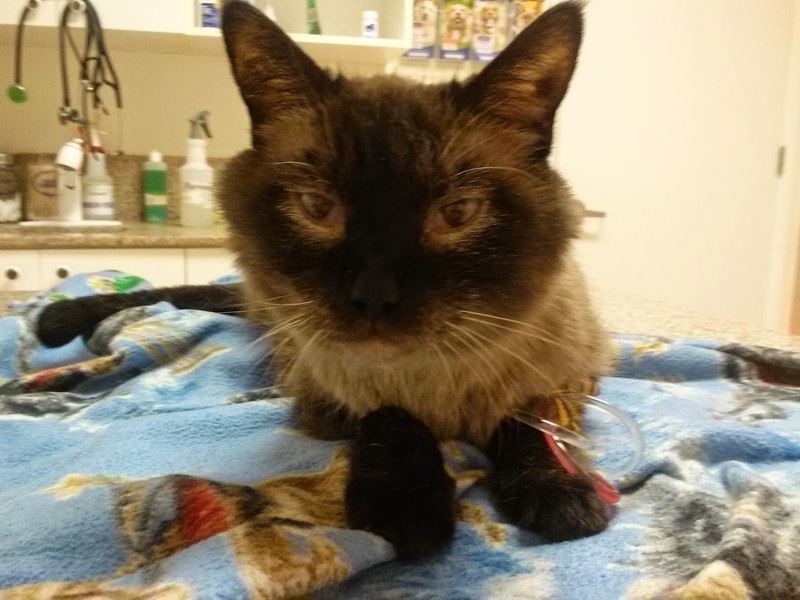 Luna passed away on November 1st, 2015. She would have turned 14 today. Writing doesn't pay the bills yet, so I work a lot. But since my awesome job at the library barely covers the rent, I needed a second one. (My husband also works and goes to school and owns a tiny business. This covers the car and insurance and food.) So I ended up taking a job cashiering at a local store, where I make enough to buy a few of the things the store sells. Here's the thing: scanning items for pleasant people and counting change is fine, and maybe it really is only worth the $7.50 an hour I get paid. But that's not what I'm doing most of the time. Most of the time I'm on cashier-call while trying to restock, clean up, or fix signs in a constantly-changing store as I also give good customer service, push sales on special bargains, and deal with frustrated people; all the while other employees talk into my earpiece. Then, when the store is closed for the night, a crew of about 4-6 people has to put back hundreds of items that people left in the wrong place or decided they didn't want, while "front-facing" and cleaning the entire store so it will look decent in the morning. 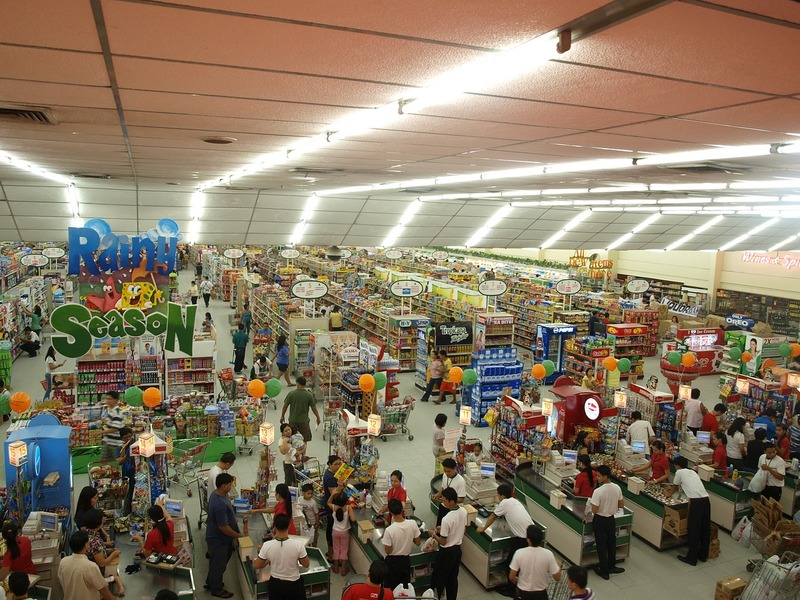 And the store is 10x bigger than this. I should have known it would be bad when it took a full week to get the necessary paperwork sent to me through six or seven different emails, but I think I was just excited that someone actually responded to my application. My orientation consisted of a manager-on-duty showing us where the time clock was and telling us to punch our employee IDs in--oh wait, we don't have those ready for you yet, so you can try it later--and then sharing a copy of the employee handbook and reading excerpts from it--and no, you can't have that, we don't give out copies to employees anymore. Then we got name badges and were told that if we wanted the company polos we'd have to buy them from their online store for $8 (you know, more than my first hour of work was worth). And then I discovered I was already scheduled for the coming week, on a day I'd told them I would be unavailable. On my first day of work, I was tossed at another employee who informed me that she wasn't usually assigned as a cashier, but sure, I could watch her for a while and see if I got the hang of it. "We're supposed to try to get these things sold," she pointed at a bargain item on the wall, "even though people will give you the stink-eye for it. I usually don't because I don't get paid enough to be a salesman." The second day I worked, I made a mistake clocking in and was told I had committed "time fraud", and that maybe the hour I'd worked off-the-clock couldn't be fixed and I wasn't getting paid for it. I cried when I got home. It's not all bad, of course. My co-workers are great. There's a certain camaraderie that comes with the shared frustration of our positions, and they have this ability to find the humor in someone's anger over 40 cents. (We do not get paid enough to deal with people who would murder us over 40 cents.) Most of them work a second job and have stories to tell, from having a kid with cancer or a spouse who turned out to be gay to simply working up to buying a Wii U. But we also get our share of angry people who have no basic human decency. Maybe I'll tell you about that later. For those who don't know, LTUE, short for "Life, The Universe, & Everything", is a Speculative fiction writing conference that takes place in Utah every year. I've been several times now, and... I've gotta be honest, I didn't learn a whole lot from the experience. The first year I went was amazing, but after going to a bunch of these things you're really just reinforcing things you've heard before. This is not to say there weren't some great panels, discussions, and presentations. There were. I went to one on disabilities in fiction that stuck with me, for instance. And I tried something I'd never done before: pitch in person. Write. That's what makes you a writer, so just do it already. Your story needs to have a beginning, middle, and end. You wouldn't believe how many people forget this basic fact. I've read a lot of stuff that has no ending, and a lot of newer books are hard to get into because the proper beginning is absent (in favor of drama!). It hurts. If you try to be too clever and draw attention to yourself, it ruins the illusion of the world you're trying to create. Know the usual rules and why they exist before you go around breaking them. And then murder those rules lovingly. And with that, I leave you. Peace. I dreamed of working at the library for years. It always seemed like a fantastic blend of things I love: books, atmosphere, and organization. And it turns out, a lot of other people want the job, too. When I took my shelving test, there were 40 others in the room, and at least 4 more testing sessions were scheduled. What the libraries in Salt Lake do is take the highest scorers (45/45 in my case) and form a pool that they pull from whenever a slot opens up. Even with my score, I still interviewed several times before someone wanted me. It turns out I am really good at my job, but after a year of working here, I have learned a great deal more than I would have ever expected. I don't take very many pictures of my workplace. When you work for a library, literally everything you have ever learned about everything might at some point become relevant. It should be obvious that reading a lot of books helps you recommend good ones to patrons, and the actual librarians, with their Master's in Library Science, know a heck of a lot more than the rest of us. Knowing how the computers and copy machine and printer work is good, too. But one day you might be asked something like, "How do snails see?" Or "I heard Elvis was actually gay; is that true?" (Answers: Snails have eyes on their top tentacles, and Elvis may have been bi.) I can always direct patrons to a book if I can't answer, but every bit of knowledge helps. It depends on what you want. Really. If you want ALL the wolf books, 599.77 is the section for you. If you want ALL the fairy tales, try 398. But if you want the fact check companions to the Magic Tree House series, or the popular "You Wouldn't Want..." history books, or you're planning a trip to China, good luck. They're all over the place. For that last one, books about China as a country are in 951, travel guides are 910-919, and foreign language is in the 400s. 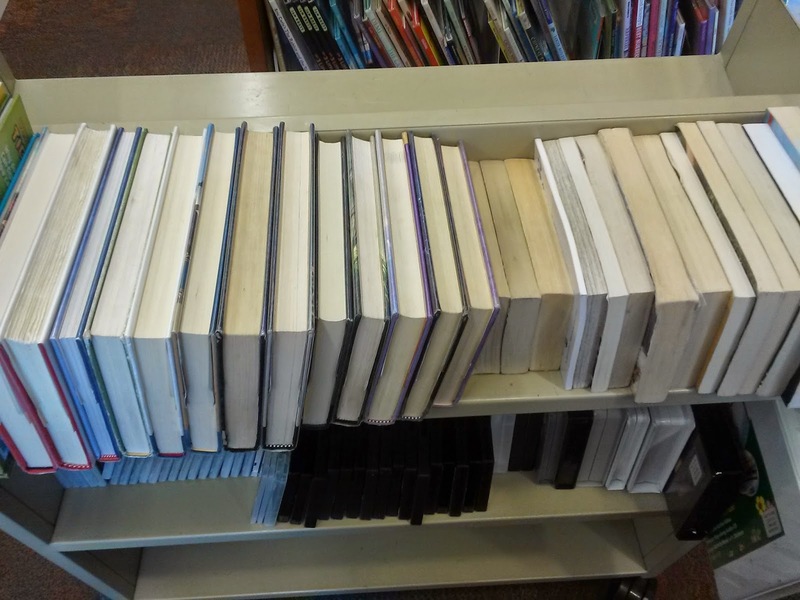 Depending on the library, the dictionaries might be separated from the language learning courses, too. people from stealing the holds I'm pulling. I'd need an image of circling sharks for that. We even provide toys now. Adorable, germ-soaked toys. You know that caricature of a crusty old spectacled librarian, shushing anyone who makes noise for any reason? Completely and totally false. Libraries are evolving. Children are given designated learning and play spaces, and while we aren't encouraging screaming, we don't interfere with noisy people very often. And when the library hasn't opened yet, our librarians talk louder than most. "Hey, Rachel! Are you in here?!" "Yeah?" "Could you come help me with this?!" The other day I was in a back corner pulling holds, about an hour before we opened, when I sneezed--my sneezes make this dainty little "achiew"--and I immediately heard one of the librarians yell, "...CUTEST! ...SNEEZE! ...EVER!" 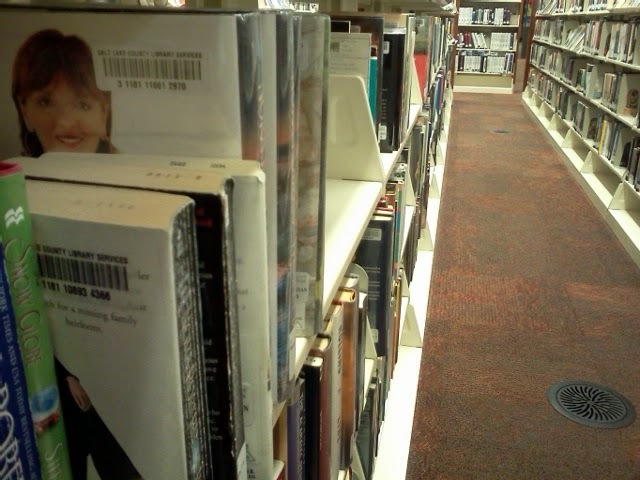 I've come to feel like the library is home--a busy one, with lots of visitors, but a home nonetheless. It's a safe space for everyone as long as you're not causing trouble or creeping on my co-workers, and we're cool if your tastes are considered strange anywhere else. It's a judgment-free zone. Happy New Year! 2014 was a big one for me. Variety is the key to longevity, I've discovered, as it felt like a much longer year than any other has. It always felt like things were happening--good or bad--and memories were created and shared. Sometimes I picture chapters of my life, and I come up with easy dividers that span years, like, "Frenemies" and "High School" and "Memoirs of a Paraeducator". But this year has had many chapters of its own, so I'll share just a few of them. I loved my dumb Malibu. Its paint was peeling and it had the worst engine design in the world, but it was my car and I loved it. It failed emissions AND inspections and the parts to fix it would cost more than the car was worth--and the plates expired and it was going to get towed. Jaron had a very old Accord with foggy windshield problems... and it got stolen. He got another old Accord with battery problems and that got stolen and towed, too. And it failed emissions and inspections. We went on a trip to Seattle with a friend, and when we went to return home, it was broken. 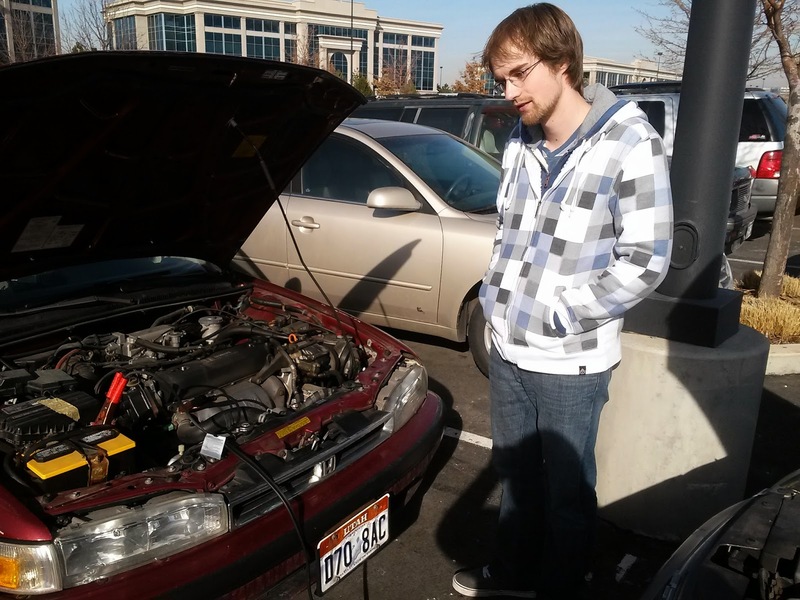 We duct-taped and zip-tied the battery to the broken part and managed to make it back--she got it fixed, only to be rear-ended at a red light and have her car totaled. With both of our old cars and their problems making us crazy, Jaron and I decided to make an investment and get a single good car--a beautiful Honda Fit. We drove it for a month. I was rear-ended on the freeway, pushed into another lane, and hit again. It was totaled. Trying to deal with insurance and rental cars and all of that has been a nightmare ever since, even though I literally did nothing wrong. We're still out several thousand dollars. Thanks, whatever evil creature came up with car insurance policies! Luna is a sweet, beautiful Siamese Mix who loves people and has a good sense for how the people around her are feeling. She's thirteen years old now, and while I often treat her like she's my baby, as far as cat development goes she'd be more like my mother's age. People will sometimes say, "Wow, isn't she getting old?" Which is rude no matter how you look at it--do you look at people's children and say, "Wow, d'ya think your kid is gonna die yet?" 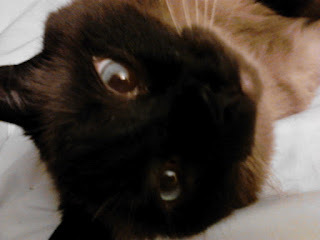 But I have to admit that Luna is on par for the health problems of an older cat. We discovered that she had diabetes in December of 2013 and had been giving her insulin--though she likely already had ketones poisoning her system (we were not informed about ketones at the time). So when Luna decided food was icky and moving was icky and meowing was icky we rushed her to the animal hospital. This was on New Year's. During this time, we got much needed hugs from good friends and tons of unwanted advice ("She's old, maybe you should let her go...") from others. But after five days and lots of money spent on treatment, Luna was able to come home, actually feeling even better than she had in years. She relapsed five months later, and then we really had no money. But we've learned a lot about taking care of a diabetic cat and although she's not terribly thrilled about being pricked with needles twice a day, she's a much more active and happy cat with her glucose in check. My husband, Jaron, has always loved playing games--now he loves making them, too. Back in 2011, in trying to find new things for our writing group friends to enjoy, Jaron decided to try some basic card game variations. His first attempt at making his own was a twist on rummy he titled Thief. The draw was that one could steal other player's cards for more points--but our friends didn't go for it. But Jaron was determined to make a fun game, and he decided to make his own cards. 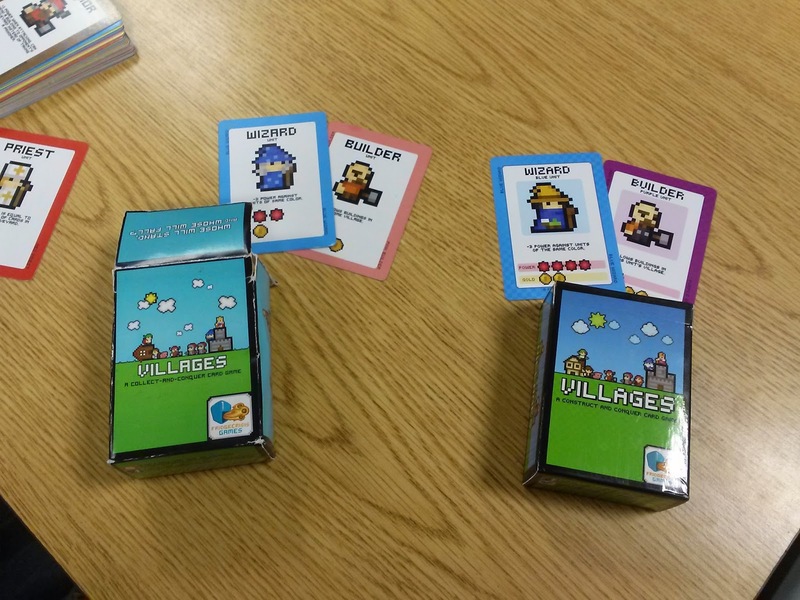 Then he made cute pixel art, and made each card have a unique ability, and gave them colors... he tweaked and added and pulled and built until he had Villages, a game which we all decided was actually really awesome. 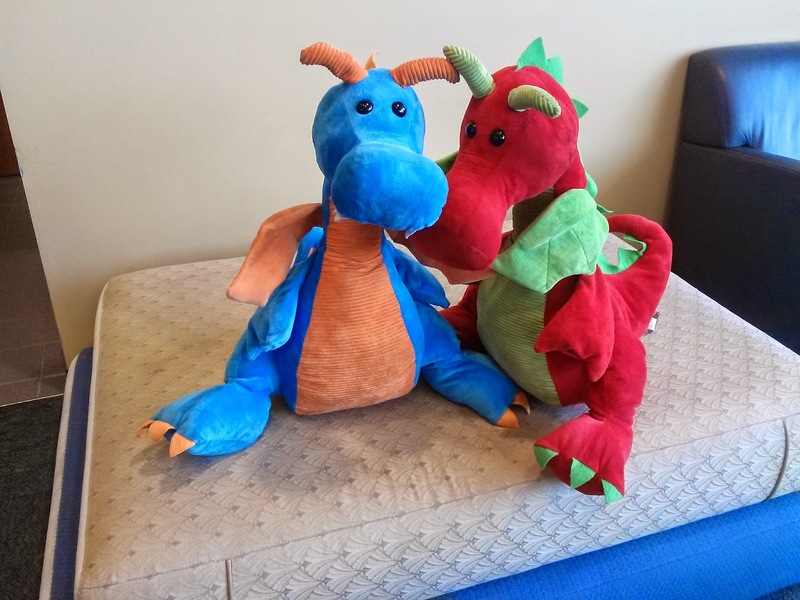 With the help of a print-on-demand game site, he put the game up for sale on the internet and later took it to a local convention. We took it again the next year, with more copies in tow. We sold out again. Seeing how the game had its own little market, we wanted to get the game to as many people as possible, and Kickstarter seemed like a good way to go. So we set it up, gave ourselves a goal of $1,000, and finally opened it up on January 4th, 2014. We met our goal in nine hours. The universe clearly didn't like Villages' success and tried to thwart it in every way possible. Costs rose, timelines slipped, orders were mixed, shorted, or damaged. We had problems with the decks. The dice. The card sleeves. The translations. The dice again. The card sleeves again. It grew into this beast of a campaign that has lasted the entire year. We're still working on fulfillment, a full year later. But it's not all bad. People love the game. 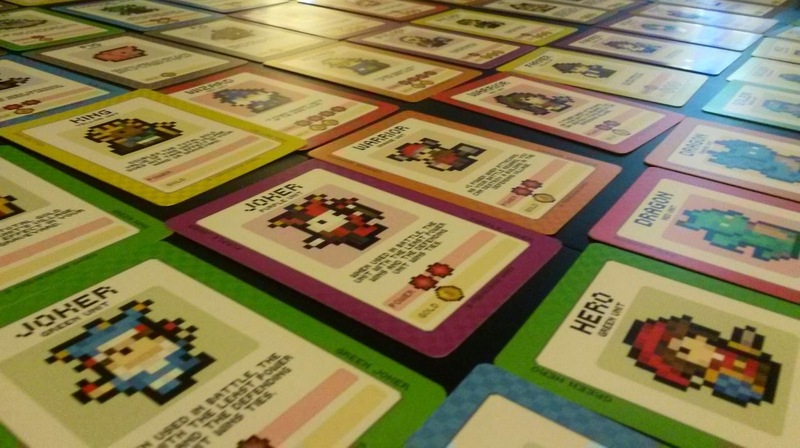 They write us to tell us that "My girlfriend hates games but likes this one," "Villages is the only thing on my son's Christmas list" and "My nieces made some custom cards for your game," or my favorite, "Your game inspired me to create something of my own." Villages has been an amazing journey, and I'm incredibly proud of Jaron for making it. This is a small sampling of the events of this year, but there were easily four or five separate intertwining chapters here. All in all, I'm glad to be alive and I'm even more glad that 2014 is over. 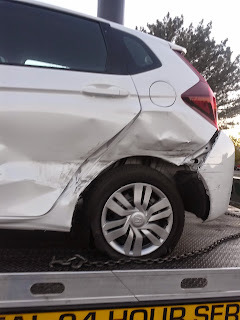 Three weeks ago, I was involved in an accident on the freeway. I was in a brand-spankin'-new car, one that I'd owned for a month, and I had, ironically, stopped at the dealership to get my tires checked before heading out to pick up my husband from work. Listening to my favorite Japanese CD and thinking about my plans for the evening, I watched the green signs for my exit. A red car in front of me stopped suddenly as they were cut off. I slammed on my brakes, hoping that I had kept a good following distance behind. I sighed in relief when I stopped, then tensed again as I heard squealing brakes. I lurched back and then forward like a whip, the car spinning counter-clockwise. My breath caught, and my fists went white, tightening around the wheel. I don't remember what I thought at the time, other than that I was facing the wrong way. I do remember looking out the driver's side door, wide-eyed at the silver grill of a giant white truck. He stopped. Thank God he stopped. Then, my body was a whip again, thrown to the side as someone struck the rear door of the driver's side. Everything felt numb. I watched as two other cars pulled over, reluctantly letting go of the brake and driving myself to safety--the car thumped. Flat tire. Understatement. That tire was demolished. When I had parked, everything became blurry and surreal. A man with a blue bag knocked on my window and asked if I was okay. My wrist--my shoulder--everything else was numb. I nodded. "Yeah," I said. My CD was still playing. Kaze wa tomari kotoba wa--I clicked it off. I needed to call my husband, let him know I wasn't going to pick him up. But when I heard his voice, all that came out of my mouth was a garbled mess. And when the policeman knocked on my window and handed me a paper, I was so confused and shaky that I couldn't even recall exactly what had happened, doubting every word that came out of my mouth. Was I okay? 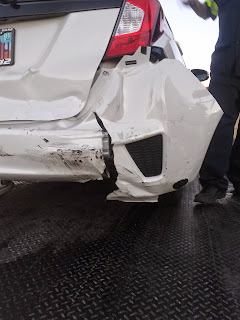 Was I really rear-ended? Was I sure I hadn't hit anyone else? I said "I don't know" at least 30 times, and cried for a full two hours. I had a hard time filling out paperwork and listening to my husband's voice on the phone was about the only thing that kept me awake. The only things I was sure of were that I was upset about my car, and that my wrist was killing me. It wasn't until the next day that I realized I had been in shock and that I had terrible, terrible whiplash. Fortunately, things like ibuprofen and heating/cooling packs exist, and I'm almost back to normal. 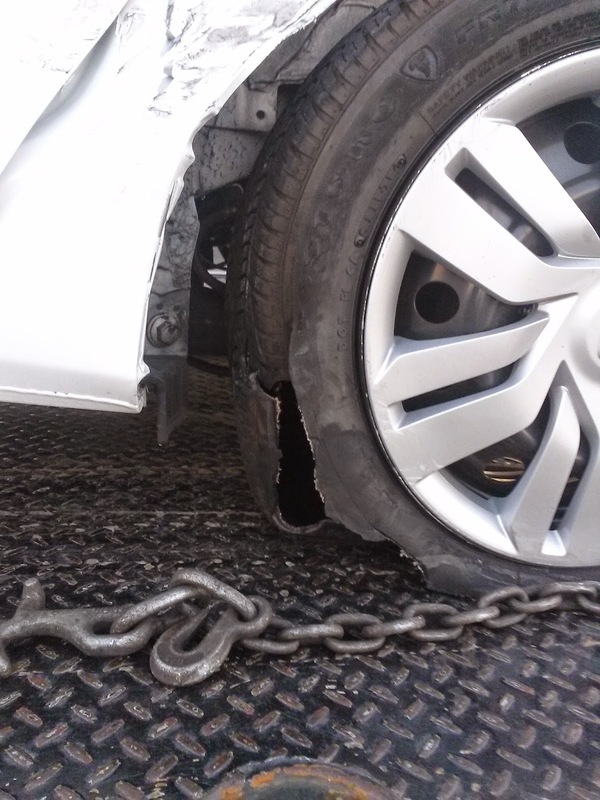 On the downside, rental cars are expensive and I'm afraid of squeaky brakes. On the upside, I have more life experience, something to draw on for future writing, and a greater appreciation for good friends, family, and coworkers. Thank you for the rides, hugs, and good advice.